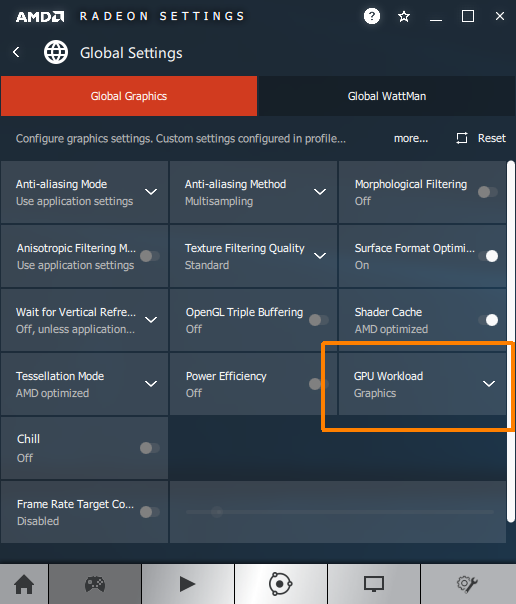 GPU Workload: a new toggle in Radeon Settings that can be found under the “Gaming”, “Global Settings” options. 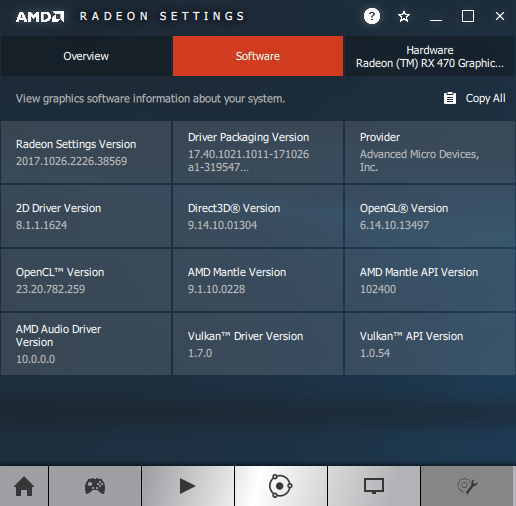 This toggle will allow you to switch optimization between graphics or compute workloads on select Radeon RX 500, Radeon RX 400, Radeon R9 390, Radeon R9 380, Radeon R9 290 and Radeon R9 285 series graphics products. 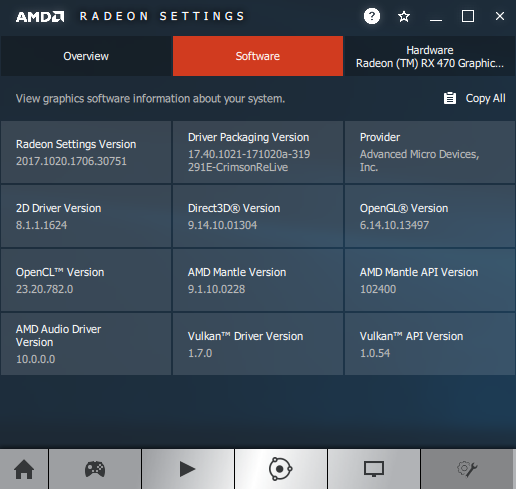 Compute Support: Radeon Software now supports compute workloads for up to 12 installed Radeon RX 400, Radeon RX 500 or Radeon RX Vega series graphics products on Windows 10 system configurations == MINING! 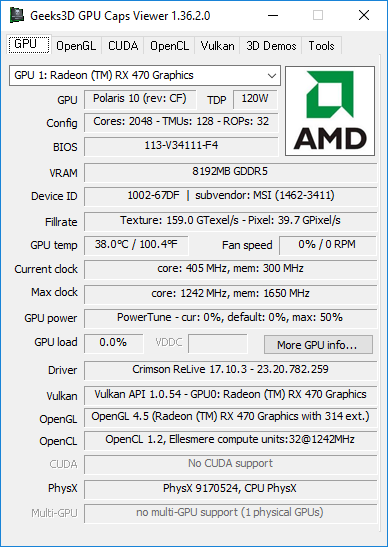 - OpenGL vendor: ATI Technologies Inc.